The above site has turned to be scam. Now a days am not getting enough time to post new money making ideas, as office schedule is too busy. We are working hard to clear all the backlogs. We even work at national holiday to clear the backlog. Next week probably i will get one day compensatory off. Let come to business, i have noticed a new money making site called as TownWorkers. Townworkers is about connecting people who need something done (Employers) with people who want to help (Workers). These "things that need to be done" are called "micro jobs". You might be may be familiar with some of the freelancer websites. Here the concept is totally different. The jobs posted on this website are micro jobs- Jobs like commenting on a website, voting on polls, downloading a song, Join a program and all. These are short jobs which take only minutes to complete. 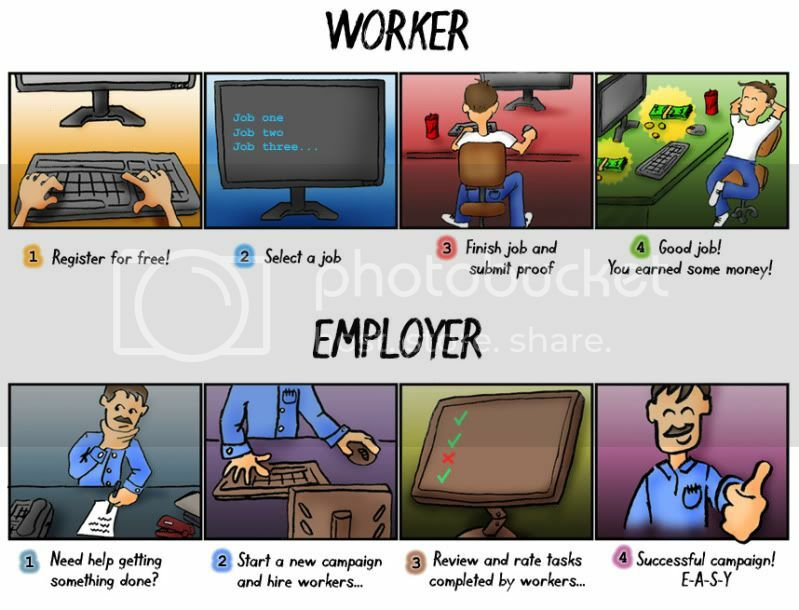 To earn money you have to complete simple jobs online which are created by employers. These tasks will pay a minimum of $0.10 per task. We can pick which jobs we want to complete. The site get updated every 4 hours with new jobs. TownWorkers is still in Beta stage. Official Release is on 20 October 2010. You will get |$1.00 as sign up bonus. Minimum payout is $10. TownWorkers also have a very nice referral system. Referral income structure is as follows. # $1.50 After Referred User Balance Reaches $10.00 Or More. Why Hamrash Edava (I) joined TownWorkers? I used to get jobs from other freelancer websites, but they need at least 1 hour to complete a partivular task. As a full time RRD Employee, i won't get enoguh time during office days for doing online tasks. The main thing attracts me is the jobs posted in TownWorkers are micro Jobs. It takes only 2 or 3 minutes to complete a task, which i can do in mornings.Second thing is that the site is not yet laucnhed. So before the job i will try to make my profile good, so as after the launch i will get handful of jobs. Third thing is, apart from other freelancer websites, number of users in TownWorkers is compartively low,so the chances to get more jobs are compartibely high. Last but not the least that attracts me is the refeeral system. We will get $0.10 Per Signup of the referral and $1.50 after referred user balance reaches $10.00 Or More. So why are you waiting, join before the Launch and get $1 signup bonus. If you have any doubts, leave a comment here. I am always ready to help you. Is there any previous experience needed? There is no previous experience for working on TownWorkers. How much i can earn per month? Earnings will vary depends upon the numbedr of taks you have submitted. Is this website the same with fiverr?